February 2018 has been dominated by two things for me – Tenerife and the operation I had two days after getting back to Scotland. As well as subsequent hospital visits. Nonetheless, a good month all in all, made even better by it being a short one. With the added flair of a small, creative project, some good news on the art/education front plus something sunny to look forward to in the near future. 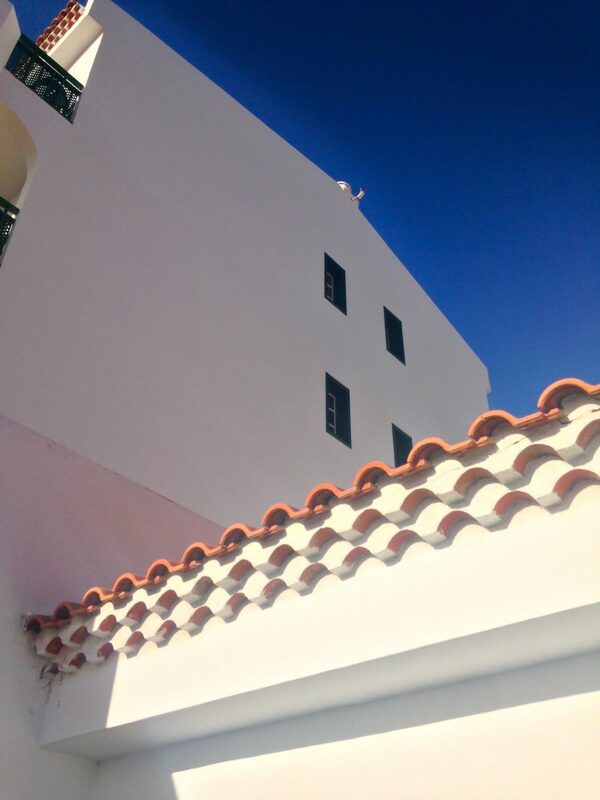 Our winter break in the sun was great and the La Gomera visit was the cherry on the cake. Meanwhile, these Toe Sox and gloves made it easy to do my yoga on those tiled floors usual in hot countries. And saved me taking my mat. Many thanks to the Yoga Store for their swift delivery and friendly service. Back two days then a snowy drive to the hospital. The second operation for my ongoing vocal chord problem. The plan was to have the surgery on the Tuesday morning then get back to work. Some chance! Anaesthetic being a knockout drug, I was woozy till Friday. I forced myself out for a much-needed two-mile walk along the canal and a healing coffee. A commission gave me something to focus on post- operation. 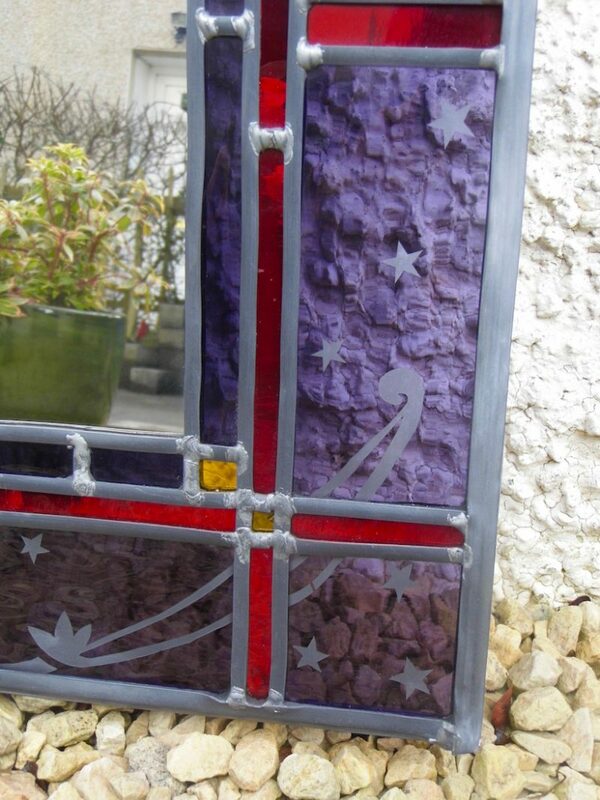 This is one of my stained glass mirrors which I made with purple and shiny red glass. There are sandblasted stars and swallows around the edge and a hint of gold. Now unfortunately this has meant that my glass mobiles are not finished as promised. That said, I do reserve the right to bump a commission ahead of my own personal work. Yayyyyy! February 2018 may have been challenging in its way. But it’s also seen me running some kids’art classes. So far I’m loving it! The children are delightful company as well as talented. And perhaps a wee bit cheeky, but isn’t that why kids are fun? 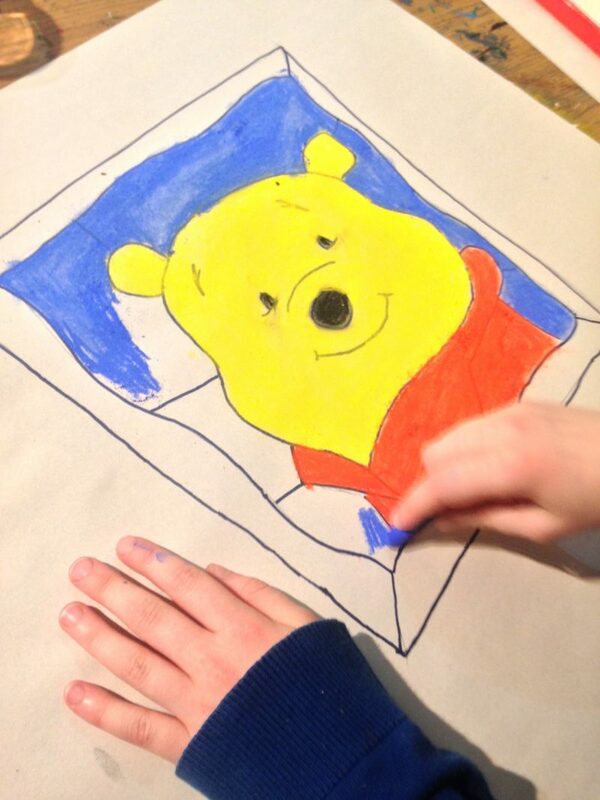 As I wrote about last week, doing art workshops is most rewarding. And I hope to bring some of my glass art into the classes (safely of course) as well as the more traditional painting and drawing. No sooner were we back when we decided to get away again in March. Having siblings currently in Malaga comes in handy. 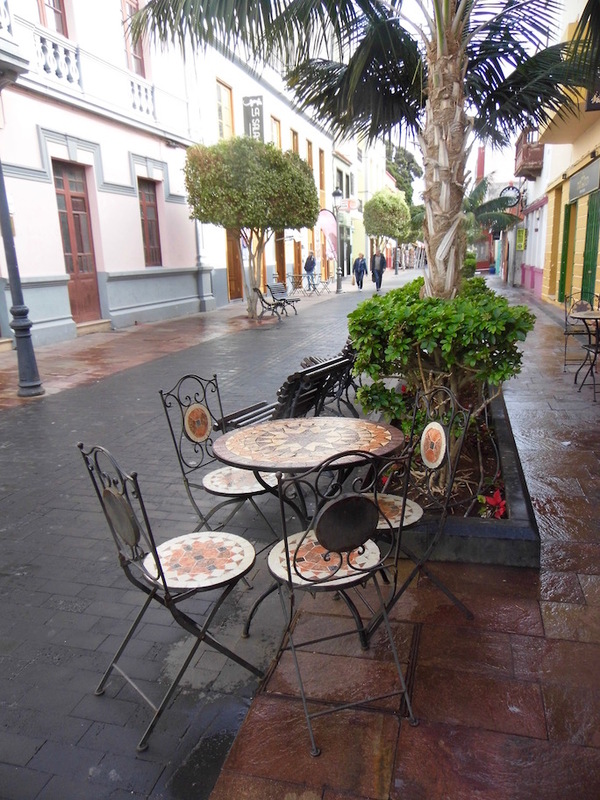 There’s a wealth of gorgeous villages to sit and sketch, plus we’re also planning to pop over to Granada. Plenty of posts in the pipeline! I’ve wanted to go to Iceland for almost as long as this young blogger has walked the earth, methinks. And so I’ve enjoyed reading Carrie’s posts about our northern neighbour in the hope it won’t be too long till I visit. Turning 30? I remember those far-flung days! Read about Jessica Rose’s big birthday in Paris, a place I must go back to one day. And she has some of the most beautiful photography in blogland. Donny Kimball’s fantastic blog makes homesick for Japan! I enjoyed this post about hiking on Mount Takao fairly near Tokyo. Another one for the things-to-do-in-Japan list. Lastly, a trip to the Netherlands’ Frisian Islands with Catherine’s Cultural Wednesdays. A lovely blog from start to finish! 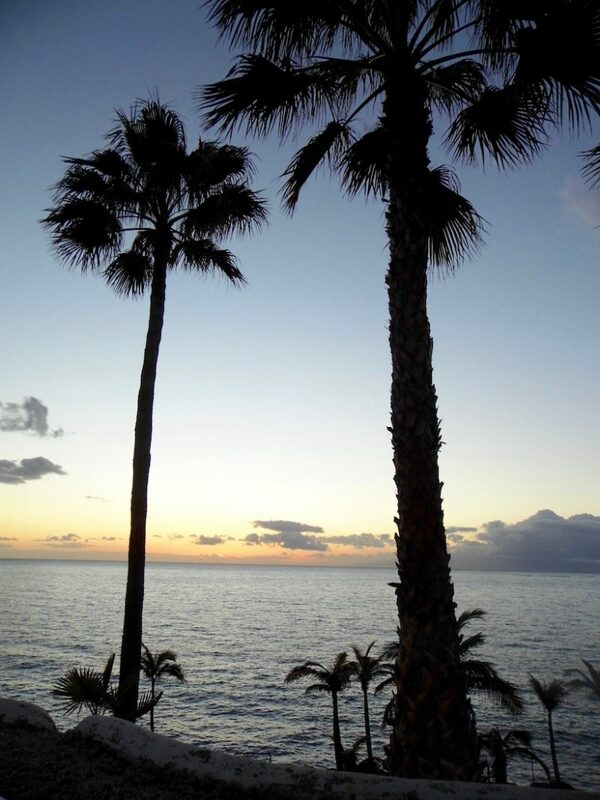 This post put me in mind of our recent trip to La Gomera and Catherine says that’s also on her agenda for later. Spring will be a little closer, the evenings longer. Although you wouldn’t know it – as I type the snow is back. Meanwhile between another Spanish trip and follow-up specialist appointments, my art task for March is to finish four of my chiyogami-framed paintings. How was your February? Drop me a comment below. "My Stained Glass: A Short Introduction"
"Kamakura: A stone’s throw from Tokyo"